Jet-Ski Ban Upheld - Turtle Time, Inc.
Malinda Carlson represented Turtle Time, Inc at a Lee County Commissioners meeting on June 25, 2013. 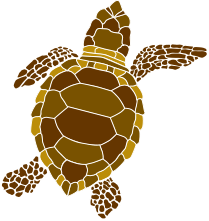 A local marina wanted to offer “eco-tours” on jet skis through the quiet back bays where many young Kemp’s ridley turtles live. The ban on jet skis stayed intact with a unanimous vote… NO JET SKIS!